I enjoy treating children, adolescents and adults. ENT allows me to see all age groups of patients. The wide variety of problems related to the head and neck is intellectually stimulating and challenging from a medical and surgical perspective, which keeps my practice enjoyable. 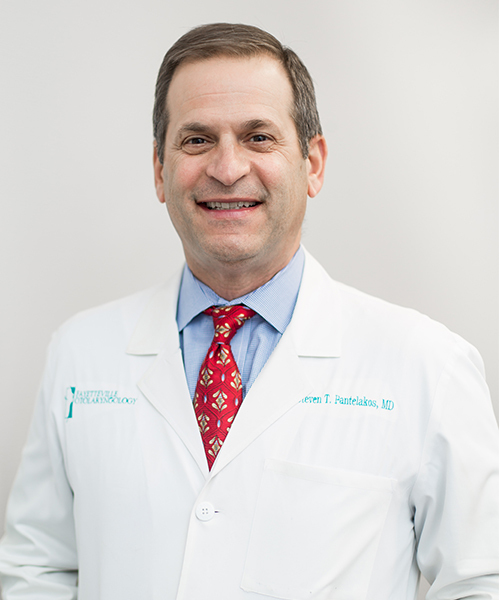 Dr. Pantelakos is a Fayetteville native who earned his medical degree from East Carolina University, Greenville, NC, in 1988. He joined Fayetteville Otolaryngology in 1993. His residency in general surgery was completed at North Carolina Baptist Hospital, Bowman Gray School of Medicine of Wake Forest University in Winston-Salem, NC, in 1989, followed by a residency in Otolaryngology completed at Baptist Hospital in 1993. He maintains surgical privileges at Fayetteville Ambulatory Surgery Center, Cape Fear Valley Medical Center, and Highsmith-Rainey Hospital. Dr. Pantelakos is married and has two children. His interests include outdoor activities – fishing, hunting, snow skiing – travel and family activities.